While in Memphis, I had the opportunity to travel to a beautiful setting in Mississippi. This church is located on the grounds of Bonne Terre and I immediately fell in love with the lines and how it looked against the beautiful evening sky. I did not have my tri-pod with me or I would have captured this as an HDR image to pull in more details of the sky. 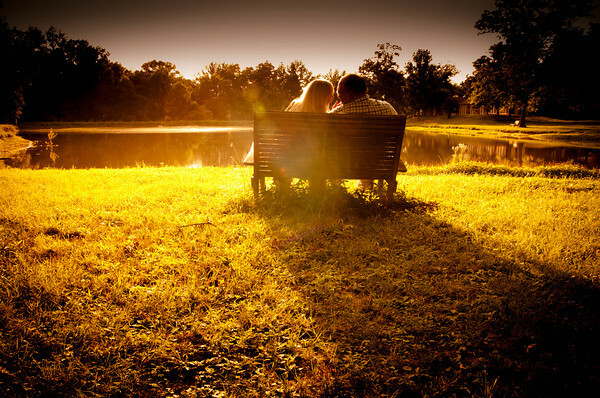 While on the property I captured Tippa and Jamey sitting on a bench near a beautiful lake basking in the sunset. I have another image of a very unique looking duck that wanted to be in the image. It had a face that appeared to have a mask on it. I never saw a duck like this before but did not include it in this post. This lake is opposite of another lake that would be great for sun rise images. Obviously, this lake is west facing which created a beautiful warm glow on the water. The opposite lake which sits behind the guest house is beautiful and calm. 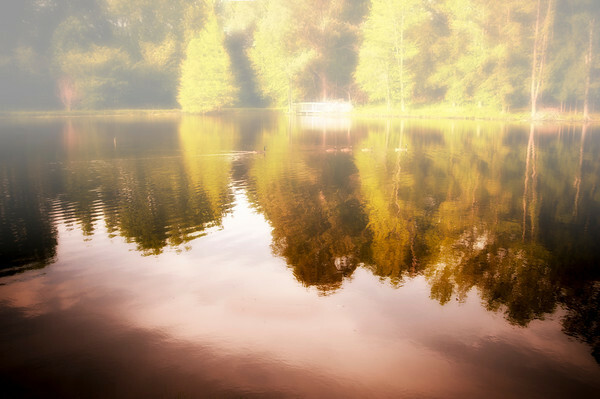 In this photograph, I processed it in a manner how it might look with a morning fog over the beautiful reflections. This lake is calm but had a small family of geese swimming through the center of it toward the trees that bordered the lake on the east side. 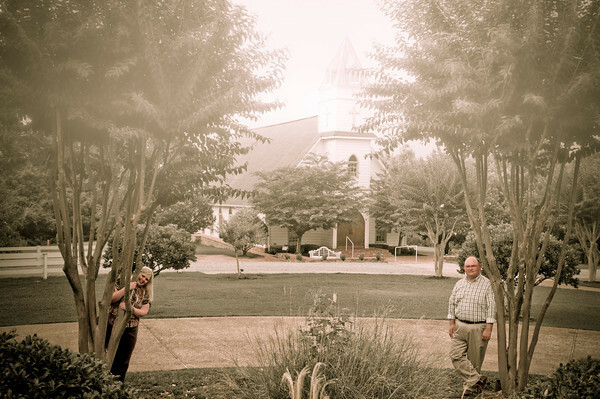 On the grounds is a beautiful reception hall which looks toward the church. The next image is from this vantage point. No doubt this is a near perfect setting for a wedding. While we were walking around the grounds, I continued to think how nice it would be for something similar near Pittsburgh. 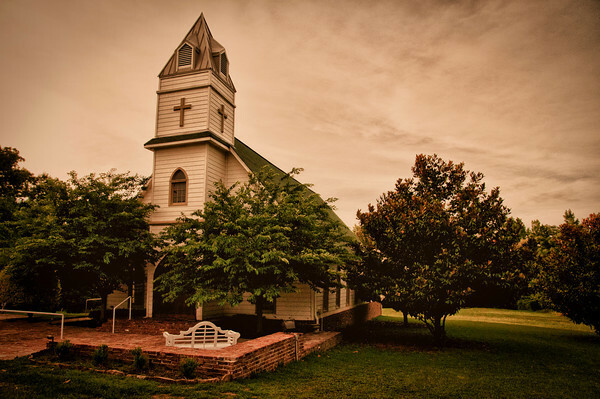 A nice country church with a simple but colorful stroll to the reception hall with nearly unlimited photo opportunities. The final image is taken inside the reception hall. 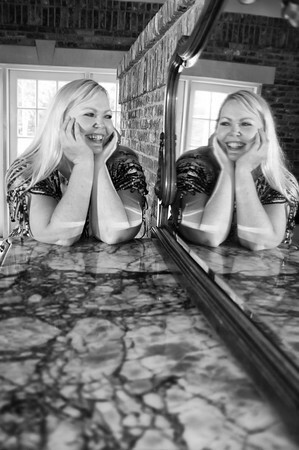 It has multiple framed mirrors and this mirror had a base of marble like material sitting along the brick wall. I could not pass up this fun shot. Till next time, get out and enjoy the beauty of life and all that it offers to us! Love love love! I cannot wait to have you do our wedding next spring!!! You are the perfect choice! Love all of the images!!! !